Copyright (c) – Bungie, Inc. Released through Bungie Store online. Purchase also granted a digital download. All profits benefit Melodic Caring Project. 180 gram vinyl in custom inner sleeves, housed in direct-to-board printed gatefold jackets in sets of two, all presented in a heavyweight box with individually foil-stamped numbering. Includes exclusive booklet and collectible Traveler pin. The A side from Music Of The Spheres from my copy sounds distorted AF. Anyone else with this problem? My TT and cart are perfectly aligned, I don't have this problem with any other record... Bad copy maybe? Fantastic vinyl pressing. Clarity can be heard and the entire volume 1 album is pure bliss to the ears. 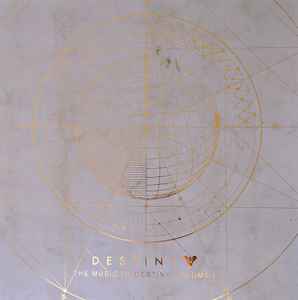 For any fans of Destiny, this vinyl pressing will overload the nostalgia from Destiny 1 and bring you countless memories being a guardian.